How do I set the profile settings to use a new media for the first time? 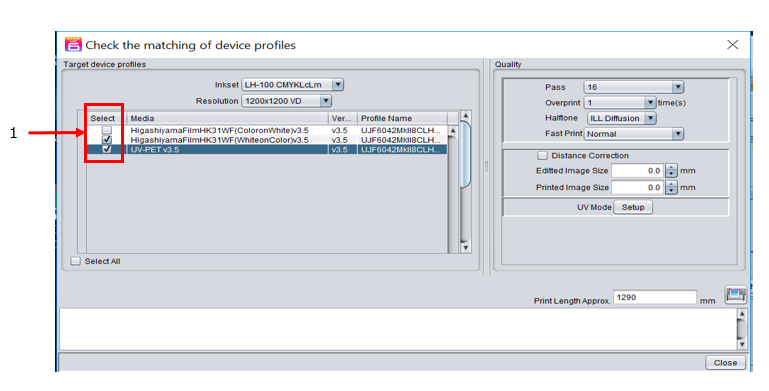 You need to use the [Check the matching of device profiles] function. 2. 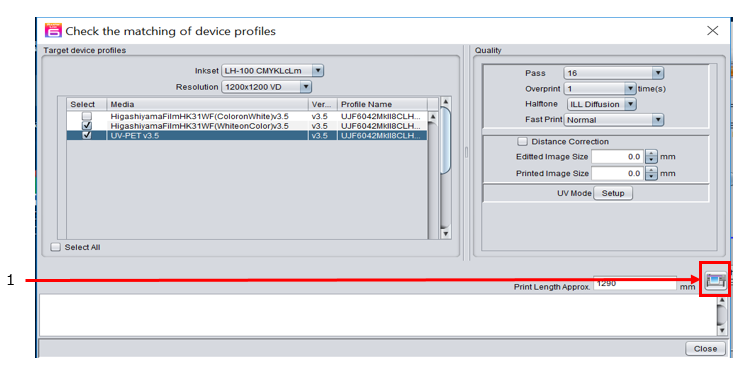 Open the [Print Quality] tab and click the [Check the matching of device profiles] button. 3. Specify the [Resolution] which you want to use. 4. 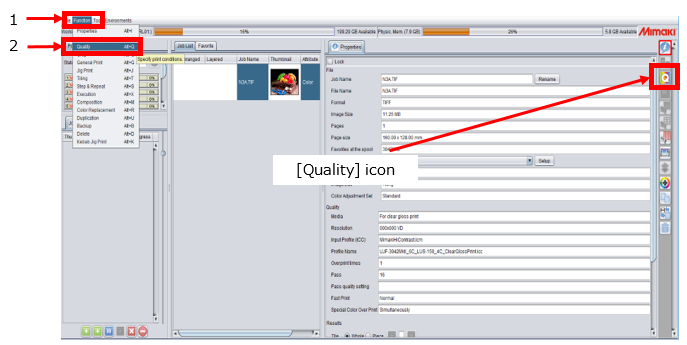 Specify the profiles which you want to test the printing. * Only the checked profiles become the printing targets. 5. Set the quality settings. 6. Click the [Execution] icon. 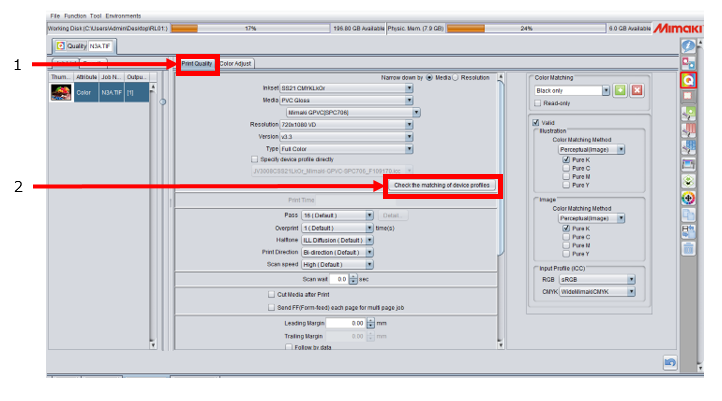 By following the above procedure, you can print the actual data with the specified profiles. When you start printing, the following message appears. Click the [Yes] button and close the dialog. The profile names are printed on the top of each image so that you can confirm the profiles which have been used. The profile information is described as follows. Visually check the printing result and determine the profiles to apply for the actual jobs.